Looking for a way to have fun and stretch your learning over Summer Vacation? 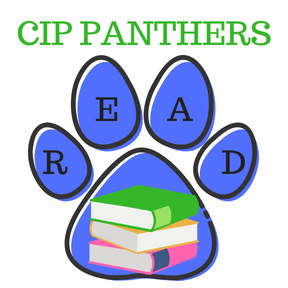 Participate in our CIP school-wide Scholastic Summer Reading Challenge! Schools from all over the country will be logging their minutes each night--and the name of the winning school from each state will be printed in the Scholastic Book of World Records! Your family can help CIP make history and prevent Summer Slide at the same time! Our school goal is for each child to read at least 20 minutes per night - being read to counts just the same! Picnic Storytimes - Wednesdays in July and August at 11:00 am (July 11th & 25th at 12 pm) -Tyler Free Library . A fun filled story time followed by lunch at our picnic tables. Pack a lunch and enjoy songs, games, stories and maybe a run under the sprinkler if the day is very hot. Ages 0 – 10. Special Storytime with Petting Zoo - Wednesday, August 8th at 11:45 am at Tyler Free Library. Rockin' Reading Club - Thursdays, July 12th, 19th, & 26th 4-5 pm at Foster Public Library. Read Across RI Selection; The First Rule of Punk by Celia C. Perez. Enjoy a lively discussion of our book selection and receive your own copy of the book. Pizza will be served. Registration required. Robotics Club & Minecraft - Tuesdays, July 10th, 17th, 24th, 31st, 3-4:00 p.m. at Foster Public Library. For ages 7 & up. Learn about app inventor, coding & scratch or play minecraft. Registration required. Rockin' Drop in Craft - Thursdays in July, 3-4 pm at Foster Public Library.